The most romantic day of the year is almost here again This year Valentine’s Day the 14th of February is on a Tuesday. This makes it a perfect day to have some flowers or gifts delivered to your loved one at work as a special surprise. Red roses are the most traditional Valentine’s Day present, the most popular being a 12 red rose bouquet. Other red rose arrangements are also popular – red roses into a box or a vase, or beautifully presented in a presentation box. Roses don’t have to be the flower sent on Valentine’s Day. For others there might be a special flower that that their loved one adores, arrangements don’t always have to stick to traditions! A beautiful mix of pretty pinks is a common request and then there are some more unusual requests, like a single wrapped gerbera on their own for instance. Each to their own, and whatever makes the day special for that special person in your life. This year at Code Bloom we have hand picked some luxury items for Valentine’s Day. We deliver hampers to Perth and suburbs as well as flowers. Some of the items have had our staff drooling over them whilst making the hampers – such as the amazing Persian Rose fairy floss, the crystallised roses and absolutely gorgeous Asterisk Kitchen rosewater and gold meringues. Any lady would love to see this turn up on their work desk or at home, what a lovely surprise with so many beautiful items to discover. 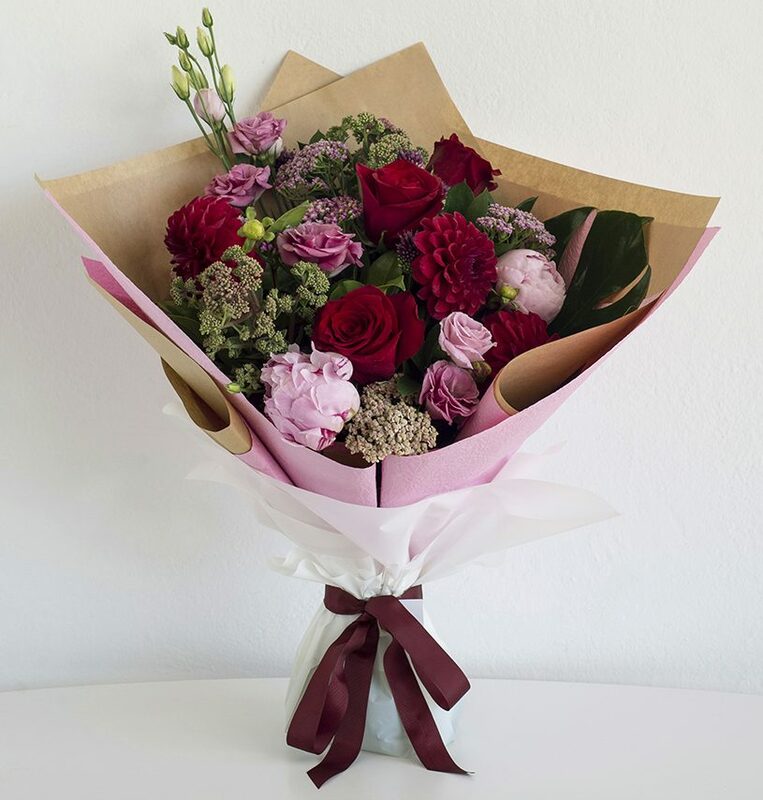 Of course there are always some little extra touches that can make that delivery just that bit more special. 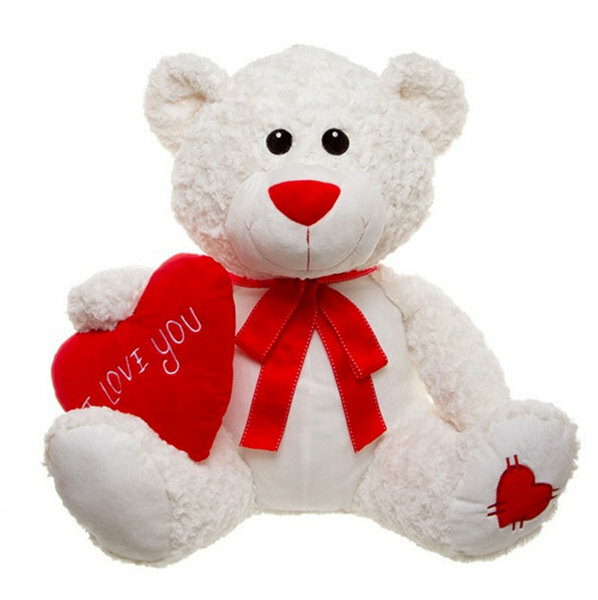 We have a selection of some of the cutest Valentine’s teddies, dogs and bears. Or what about a helium balloon for some added effect! Edible extras are also available with chocolates, premium chocolates, chocolate hearts and bottles of either red or white wine or champagne, Veuve Clicquot or Moet. Whilst the flowers or present given on Valentine’s is important what can be just as important are the words in your card message. We include a hand made gift card with every delivery with your message hand written. Some customers like to drop ff a sealed envelope with a private message to their loved one instead. This is absolutely fine and we keep all items safe for you until your delivery date.